Whether searching for a quiet, romantic Russian River getaway or looking for a classic Guerneville (or Monte Rio, Cazadero, Forestville...) vacation for family or friends, we have a vacation rental for you. Dogs are family too, so believe us, our tails are wagging when we offer all dog friendly vacation rentals. Call and speak with any of our local staff who can help you find the "right" vacation rental, steer you towards insider experiences, and help you plan for a fabulous getaway only to be had on the Russian River! 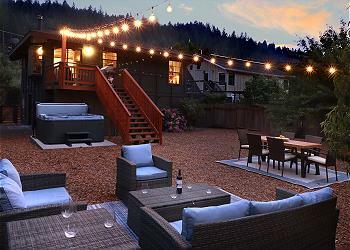 A Guerneville vacation rental is key to discovering the Russian River Valley, Sonoma County Wine Country and Craft Brewery Heaven. This one-of-a-kind small town with big personality is a destination not to be missed, according to Conde Nast Traveler in 2017, topping Time Magazine's Best Places to Travel in 2017. 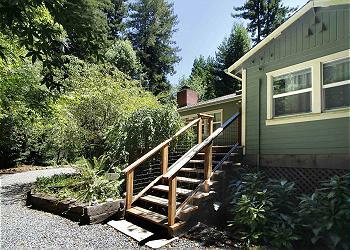 Savvy Russian River visitors know...the best stay Guerneville is a vacation rental - gather, cook, swim, and enjoy a hot tub under the stars with your friends, family, just the two of you. On behalf of the entire Russian River Getaways team, we would be honored to host you and consider it a privilege to share this beautiful place we call home. 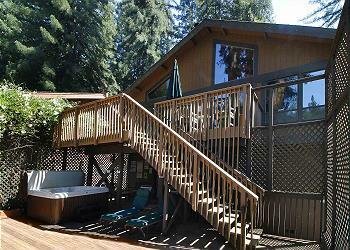 We look forward to welcoming you to Guerneville and the Russian River!